Asparagus is in season and works well in this quick mid-week stir-fry. Some fresh coriander or a spring onion – sliced very thinly on the diagonal – would have made nice additional garnishes, but I looked in the veggie drawer and found neither! Instead of mixing in the vermicelli you could serve the prawns with steamed rice. 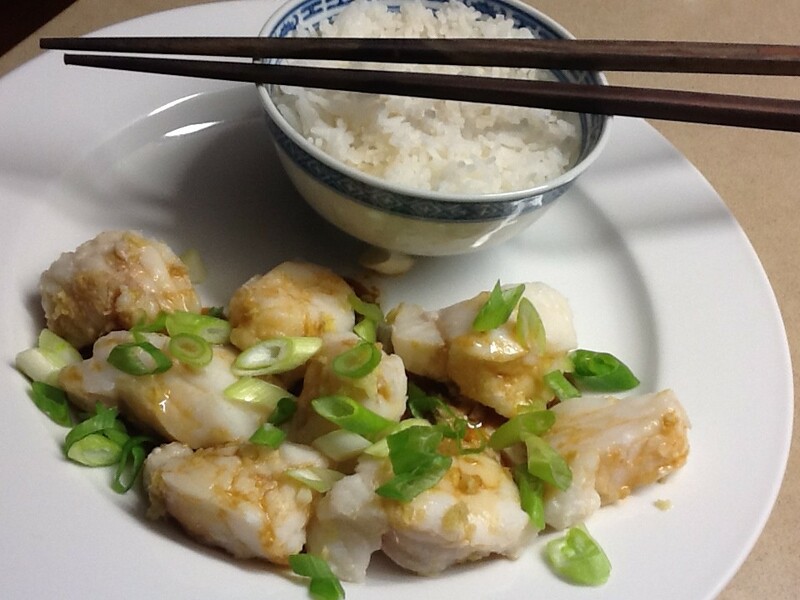 Mix prawns with egg white, cornflour, sesame oil, salt and pepper and leave aside for 20 minutes. Slice the asparagus on the diagonal, discarding the tough ends. Cook in boiling, salted water for 3-4 minutes until al dente. Refresh under cold water and drain. Pour boiling water over vermicelli, leave for 2-3 minutes then drain in a sieve. Heat oil in a large non-stick frying pan or wok and when hot add the prawns and ginger. Stir-fry for 2 minutes or until the prawns turn white. Add asparagus, sherry and soy sauce and continue to stir-fry for a minute. Mix in the vermicelli. Add extra sesame oil and soy sauce, to taste and check for seasoning. Serve in bowls garnished with fresh chilli. 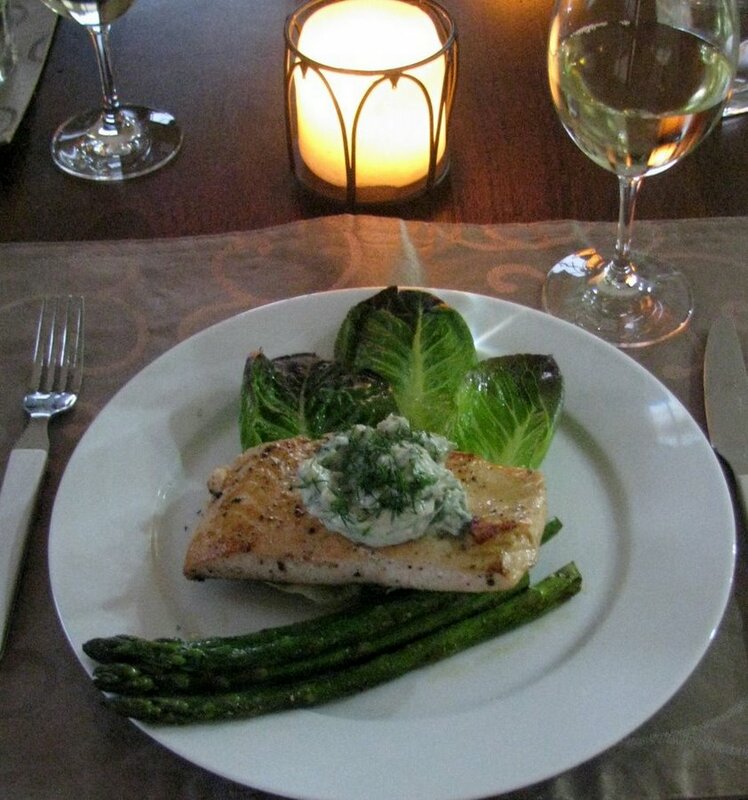 Variations: use snow peas or broccoli florets instead of asparagus. 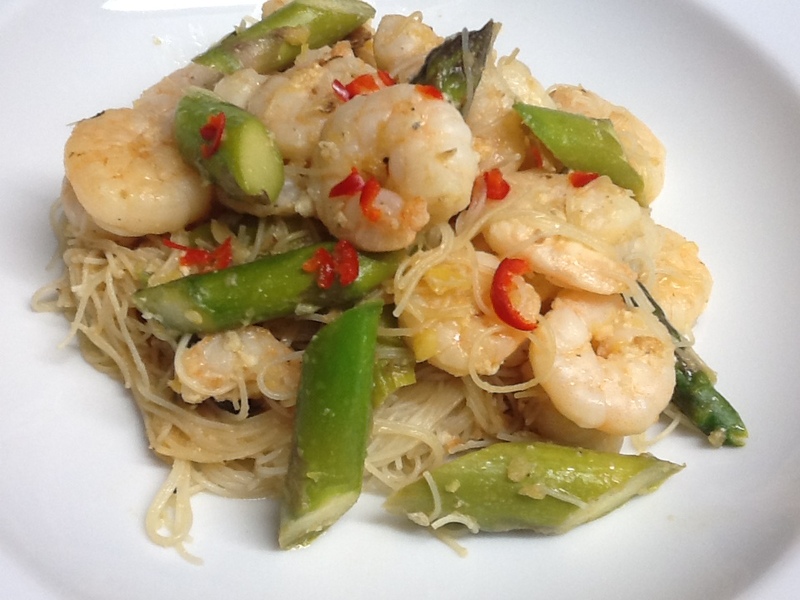 This entry was posted in Recipes and tagged asian, easy, family, prawns, quick by Linda Peek. Bookmark the permalink.